To begin with, there are various piano models in the world. Each one is unique and has its own sound. However most of them are more or less providing the same effect. The Steinway pianos are probably the best ones according to many professionals but just a few of us can afford buying such an expensive piano. The rest of us would probably settle for a great Yamaha. 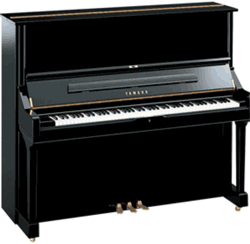 The Yamaha piano is probably the most recommended piano in the affordable pianos section. The Yamaha Company has produced hundreds of models of acoustic and digital pianos. Thousands of music schools use Yamaha instruments. Concerts and piano competitions are performed with the Yamaha grand concert pianos. Millions of musicians, pianists, composers, teachers and students own these pianos and not for nothing. How did Yamaha become such a popular brand? Is it worthwhile buying a Yamaha? 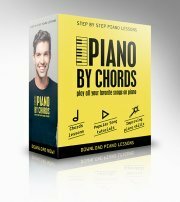 At the bottom of this page you will find links to reviews about specific models of Yamaha pianos, and other products too such as digital pianos, keyboards and more. Quality, reliability, reputation, sound, touch, design and of course... the price. Let's examine the Yamaha pianos regarding the above points. I would say that above all, Yamahas are best known for their reliability. As a student in various schools of music and as a visitor in many others I have encountered Yamaha pianos everywhere. Why do schools choose Yamaha pianos? If you have ever visited a music school you have probably heard the sound of pianos coming from practicing rooms. Pianists practice hours and hours every day and therefore music schools must choose pianos that will be strong enough to bear long hours of playing and practicing every day. Hence, they prefer to buy pianos that are strong and stable. A Yamaha is definitely one that requires minimum maintenance. When you check a piano you probably want to ensure that the reputation of the company is high. The Yamaha Company has been producing pianos for more than 100 years. They have won awards with their pianos which are played on in professional concerts, recordings and competitions. This means their reputation is excellent. There is another point regarding the reputation - you can always sell a Yamaha. If you want to upgrade your piano you will probably offer to sell yours (unless you have a big house!). People prefer to buy pianos with a good reputation especially if they buy from a private seller. You can not give them a warranty (like the one given from a store), so the reputation of the brand you hold will help to sell your piano. We know now that a Yamaha piano is a high quality instrument, what about its sound? Sound is a matter of taste. You can love the sound of a piano, or not. The sound of a piano is a result of many components - the materials of the different parts, the size of the piano, the process of building the piano and more ( click here to learn how does the piano work and you will see the different parts of the piano ). Yamaha has many different models, each one is built differently, and therfore you may love the sound of one model of a Yamaha piano, while you may dislike the other one. I would say that after playing on many Yamaha pianos I love their touch but I prefer the sound of other piano brands such as Petrof, Baldwin and many others. I find the sound of the Yamaha pianos clear, clean and sharp which is compatible with Jazz music, but when playing classical music I prefer a deeper and warmer sound. This is my own taste. Yours may think differently of course. Of course, I'm not talking about Yamaha Grand pianos which have a clean, rich, and warm, sound. A Yamaha Grand piano should be considered if you can afford it! When you choose a piano in a store, try out the Yamahas and the other brands as well. Listen to the differences between the Yamahas and other pianos. Usually you will find that the Yamaha pianos have a unique sound which is quiet different from other brands. My advice is to listen to various pianos and let your heart make the decision for you! The touch of a piano is also a matter of taste. One pianist may prefer a lighter touch while the other will prefer a heavier touch. I have tried many pianos with different touch response and my conclusion was that Yamaha pianos have a light touch when compared with other brands. In other words you don't have to put much pressure on the keys of a Yamaha piano when playing. I find the Yamaha touch very effective. It gives you a full control of the sound. You can play from pianissimo to fortissimo and convey a whole spectrum of expressions. The mechanics are perfect, allowing you to play trills easily and to perform extremely fast passages and arpeggios. Yamaha have succeeded in massive production. They designed various models such as U1, U2 U3 and then produced millions of them. This massive production has allowed the Yamaha Company to sell their pianos at a low price. You can get a high quality piano for an affordable price. When you buy a piano you should also think about the day when you may wish to sell it. As I said before it is much easier to sell a Yamaha piano due to the reputation of the company. Yamaha pianos come in various designs. First, you should ask yourself what size would best fit your room or salon. Then, choose the design and color that you prefer. I can't help you in this field since it's a matter of personal taste, but I would say that Yamaha pianos are not too sophisticated and their colors could match all kinds of interior decorations of rooms and salons. Conclusion: The main advantage of a Yamaha piano is its reliability, touch, and cost effectiveness. 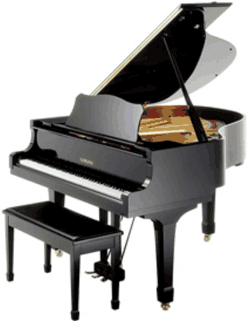 They are definitely affordable, and you get a high quality piano with low cost maintaining. Yamaha upright pianos include many models. There is the T series, the U series, YUS series and more. The U series is the most popular one including the U1 which is used all over the world. Yamaha Grand piano include various models. The C series is the most popular one; you can find it in many music schools and on many stages all over the world. Yamaha silent piano is great if you want to play late at night without worrying about neighbors. You get an acoustic piano that you can plug to headphones. Yamaha owns other brands as well: Cable-Nelson, Avant-grand. 1904-Yamaha pianos win honorary award at St. Louis World's Exposition. Yamaha dominates the world of digital pianos and keyboards. There is no other brand in the world that has produced so many models and has sold so many instruments. Click the following links and you will learn more about Yamaha digital pianos, Yamaha Clavinova, and the Yamaha keyboards. Torakusu Yamaha (1851-1916) was a son of an astronomer. During his childhood he was exposed to his father's work which required special tools and high level machinery. Torakusu was fascinated by his father's work and he started to repair things himself. He had expert hands, and after working and succeeding in various fields such as watch-making and repairing hospital equipment he tried his luck with organs. In 1887 Torakusu Yamaha repaired his first reed organ, a couple of years after he established Yamaha Organ Works, and in 1897 he established Nippon Gakki Co. The first upright piano was produced by his company in 1900. Two years later Yamaha introduced their first grand piano and since then Yamaha has became a world leader in pianos, digital pianos, musical instruments and even in other fields such as motorcycle, furniture and much more.